I have a few friends that are teachers and I praise them often about what an impact they are making. I also look up to any parent that homeschools their children. I think everyone who teaches a child should be shown extra love. 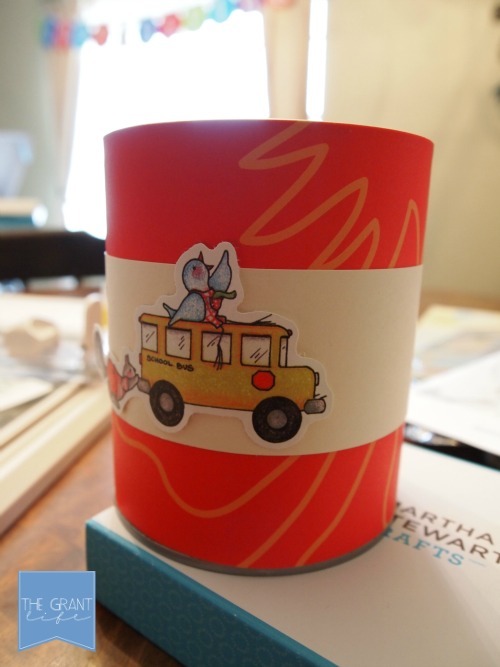 In honor of teacher appreciate week I’ll be sharing a few activities for kids to honor your child’s teacher this month. 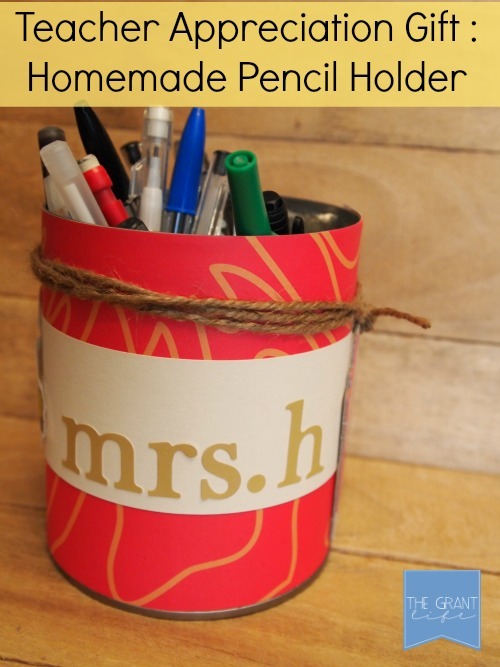 I’m starting off by sharing a homemade pencil holder for teachers. Cute, easy and free! For this craft, I used scissors so I didn’t have my toddlers help. This would be a great activity for older kids though. To start I cleaned my fruit can and let it dry. 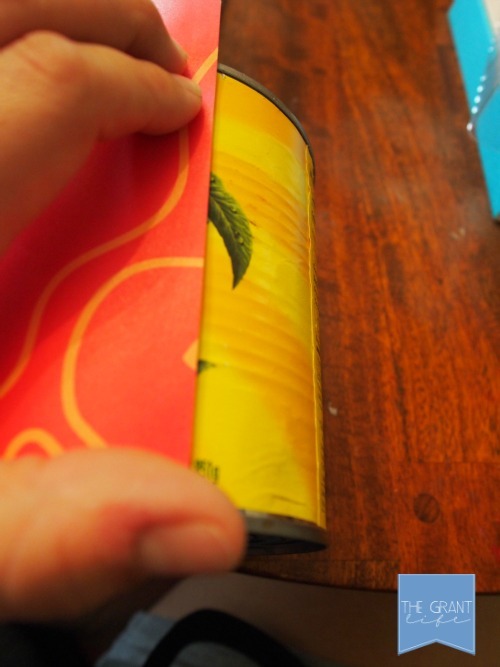 I then measured and cut the scrapbook paper to cover the outside of the can. Secure your paper with tape or glue. I then added an accent piece over and some stickers. Finally, I tied some jute to the top and added a some stickers for the teachers name. 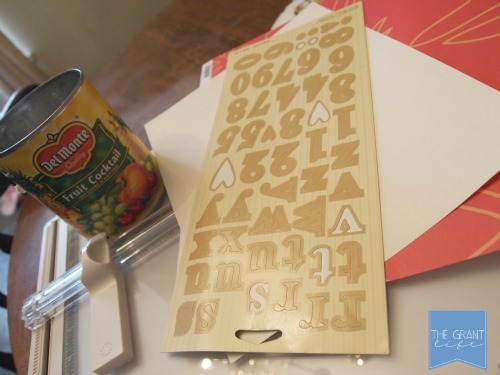 This was such a fun craft that I’m sure any teacher will appreciate! What will you be making for Teacher Appreciation Week? It is coming up May 6-10! Thanks for pinning, Melissa! You rock. Cute and pinned! 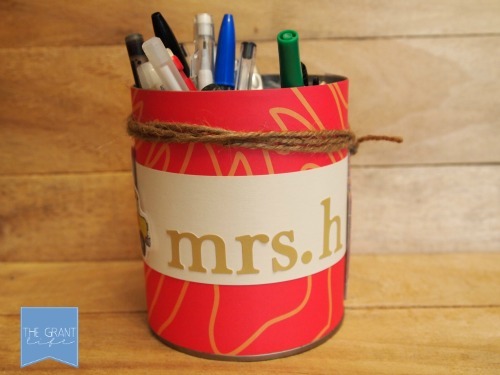 Love all of your teacher appreciation ideas! Your tutorial was picked and featured by our Bowdabra Designers in our Eco Friendly collection today from last week’s Crafty Showcase.